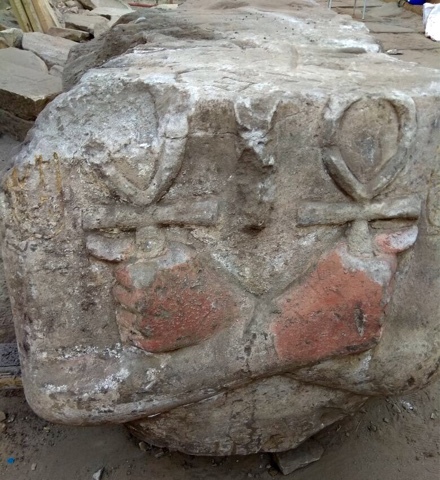 During the underground water project at Kom Ombo temple which started in September 2017, the Egyptian mission unearthed remains of a sandstone statue of Ramses II wearing the white crown of Upper Egypt. The discovered parts show that the complete statue would be about 7 meters in height. 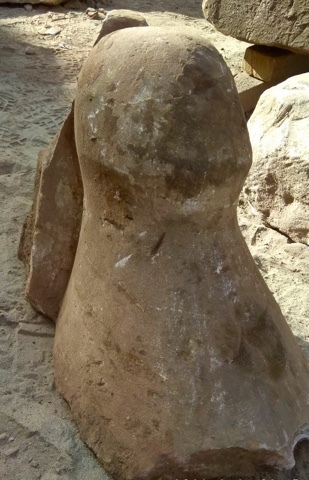 Dr. Ayman Ashmawi (Head of Egyptian Antiquities sector) said "The work is still ongoing in search for the remaining parts of the statue hoping to find them to be able to re-erect it in the nearest time." Mr. Abd Monem Said (General director of Aswan and Nubia antiquities) said "The mission discovered first the head with a part of the crown then the rest of the crown. There is still missing parts of the face and left ear." 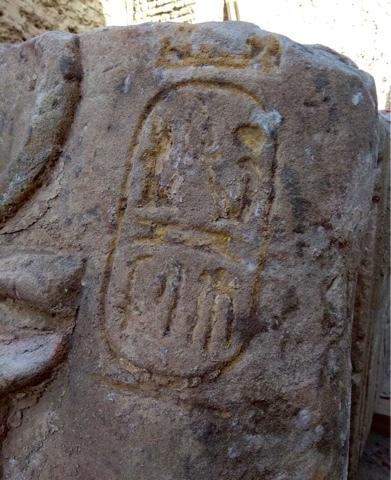 The statue shows Ramses II depicted as God Osiris holding an ankh. The statue has visible colours especially on the hands. 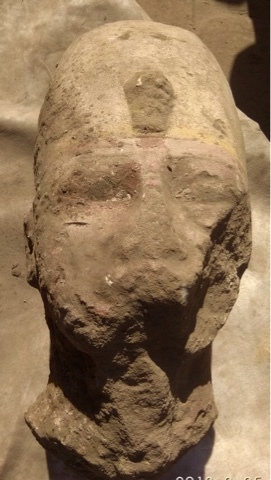 As for the discovered head, it was unearthed at the external rear corridor of the temple. It measures 70cm height, 56 cm width and 30cm depth.